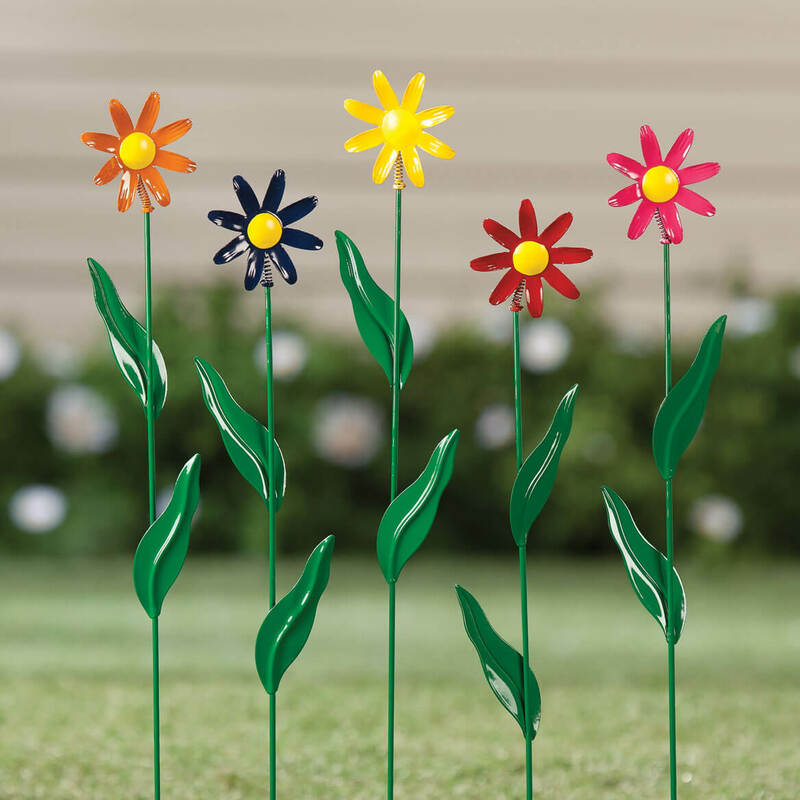 have problem with deer eating flowers, so these metal flower stakes will give color without worry about that! add color to my yard. 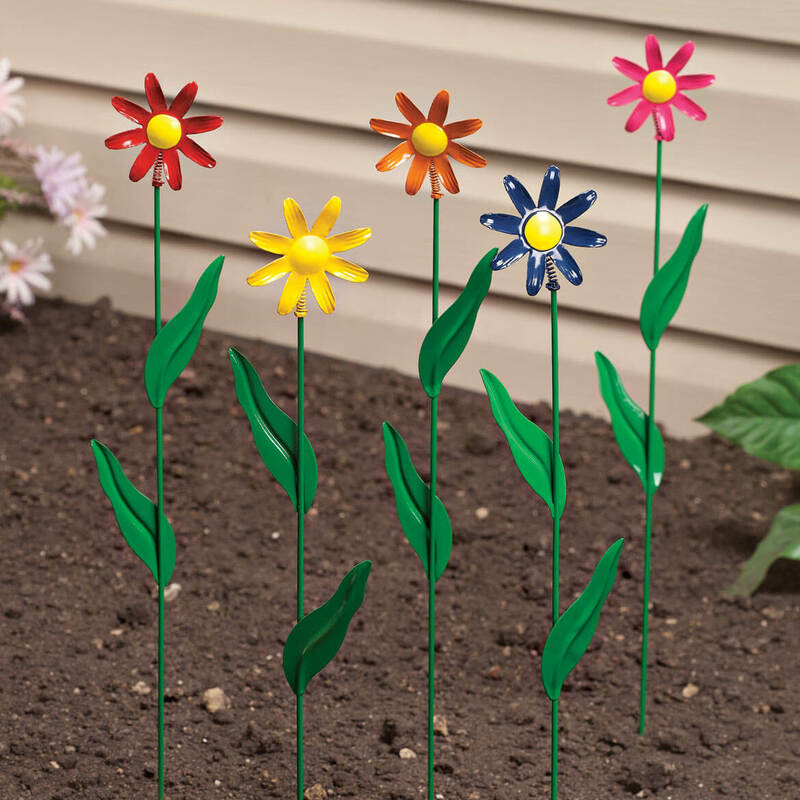 I cannot seem to grow flowers so I use these around my house. Looks like an item that would go along with the Artificial Tulips that we had previously purchased. Saw in catalog and will be perfect by camper! What is the diameter of the flower itself?? BEST ANSWER: Thank you for your question. They are 2.25” dia. We hope this information will be of help to you. 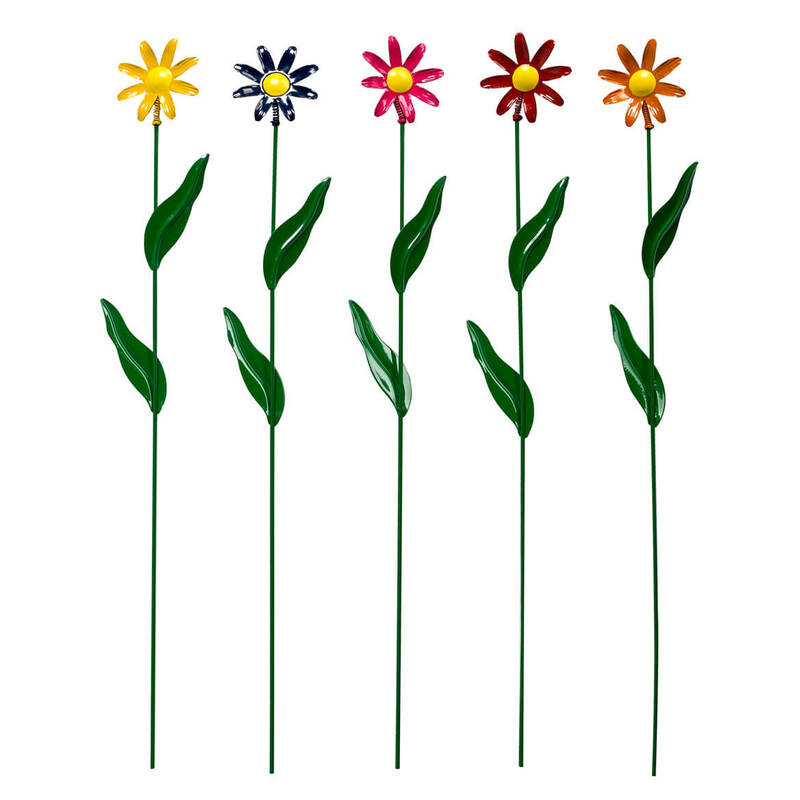 The flower's width is about 4-5 inches.